Home / Preg-U / Health / Put Your Health First, Mama: An Honest Conversation About Stress During Pregnancy. Previous: How to Advocate for Your Best Birth Experience. Next: Birth Plans: Yay or Nay? Let’s talk about stress during pregnancy. Don’t worry, I’m not going to launch into a post about all the ways your stress can harm your baby or why you need to stop stressing about stress. Those types of posts are not entirely accurate and not very helpful. Instead, I want to shift the way you think about stress during pregnancy. So take a deep breath and repeat after me: It’s not about my baby. It’s about me. I know, I know. That’s really hard. During pregnancy, it’s only natural that we focus on our baby and how our everyday life affects her development. We feel the weight of responsibility for growing and nurturing that tiny, delicate, helpless human. And indeed, that’s the cultural message we are fed the moment that we see that positive pregnancy test — The only thing that matters in pregnancy is the baby . Take care of the baby. Yet here’s a little secret: Nature has already prioritized baby. Here’s a little secret: Nature has already prioritized baby. So here’s another message to help shift your thinking: Take care of yourself, mama. A good comparison for the my health vs. my baby’s health priority paradox is prenatal nutrition. Similar to how we think about stress we often think “how does my diet affect my baby?” But, again, here is where nature has prioritized baby. For example, baby is skilled at getting all the calcium she needs to build her bones. But if you don’t have enough calcium in your diet she’s going to start pulling it from your bones. The extra calcium in your prenatal diet is about protecting your body. And just like you need to protect your body by making sure your nutritional needs are met during pregnancy, you need to protect your brain and your health by limiting the effects of stress. For whom does your stress levels actually matter? For you. Stress and stress management during pregnancy should be considered a maternal health issue. Your immune system and your sleep patterns are already sub-par because you are pregnant. Managing stress can help with both. Your mental health and emotional state is already on edge because your hormones are doing loopty loops to prioritize baby. Give your brain some space. Stress management can also help you toward your specific pregnancy, labor, and birth goals–from pain relief in labor to fighting for every extra week of your high-risk pregnancy. It all starts with your health. Fill your stress-relief toolkit with tools that match your needs. Assess the stressors in your life and clear out as many of them out as possible. Clear your mind through meditation and mindfulness, prenatal yoga, or just by taking a long walk or talking with a friend. o keep your head clear. How you choose to manage stress is personal. At the end of the day, you know yourself best and the stressors in your life. Breathe. Listen to your body. Taking care of your own health is taking care of your baby. Changing the way you think about stress and your health during pregnancy, can often prove difficult. I get it. Once we are pregnant, we tend to focus, almost exclusively, on how stress might harm our babies. We get fed the message: “Don’t get stressed out because your stress will impact the baby” with most articles highlighting research linking mom’s stress with negative birth outcomes or childhood development issues. 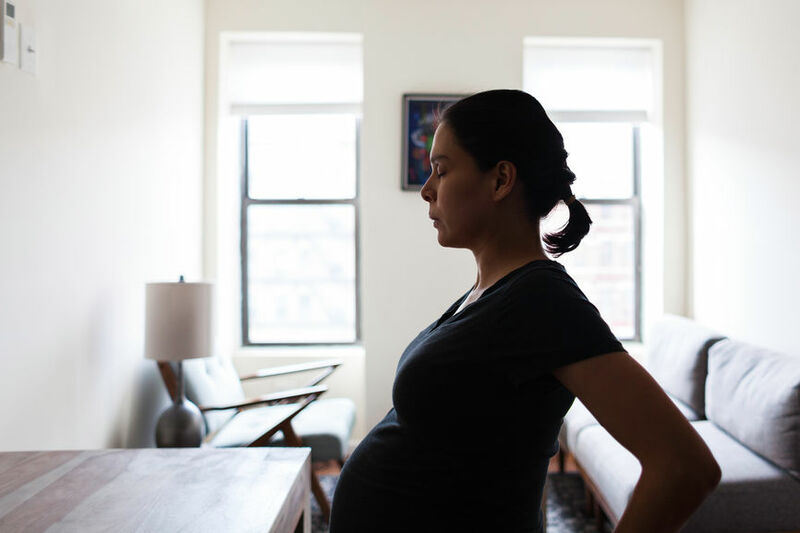 What we don’t often realize, however, is that the reported effects of maternal stress are skewed — researchers find and report effects on the baby because most published studies tend to only focus on the effects on the baby. Very few published studies have considered mom’s health or even the link between mom’s health and baby’s. Another thing to consider is that most of the studies probably do not apply to you. 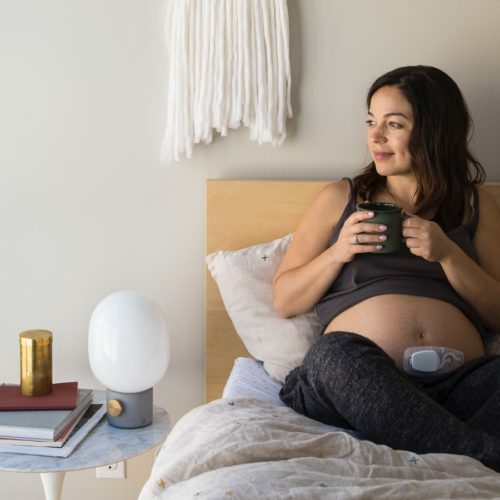 You might have heard that stress and the stress hormone, cortisol, have been linked to a variety of negative birth outcomes — preterm birth, low birth weight, behavioral development problems. Yes, the research does back up these claims. BUT most of this research involves animal models or studies extreme scenarios that do not capture the average woman. But here’s the important thing to remember about the research about how stress affects baby’s health – these studies probably do not apply to you. For example, one study found that an extreme stress event (living in NYC or within five miles of the trade towers on September 11th) was linked to low birth weight and preterm birth. Yet only women diagnosed with PTSD from the event had these negative outcomes. Not all moms. Only some moms. You see a similar pattern in women exposed to chronic stress – trauma, domestic abuse, poverty. In fact, according to a large meta-analysis (a study of studies) looking at 88 individual studies, the effect of maternal stress on a baby – in terms of birth weight and gestation length – is modest at best. When research only focuses on the baby, the mother gets left behind. For example, science has only scratched the surface of potential links between stress and maternal mental health. Until science catches up, the best we can do, as mothers, is to care for our bodies the way we care for our babies.